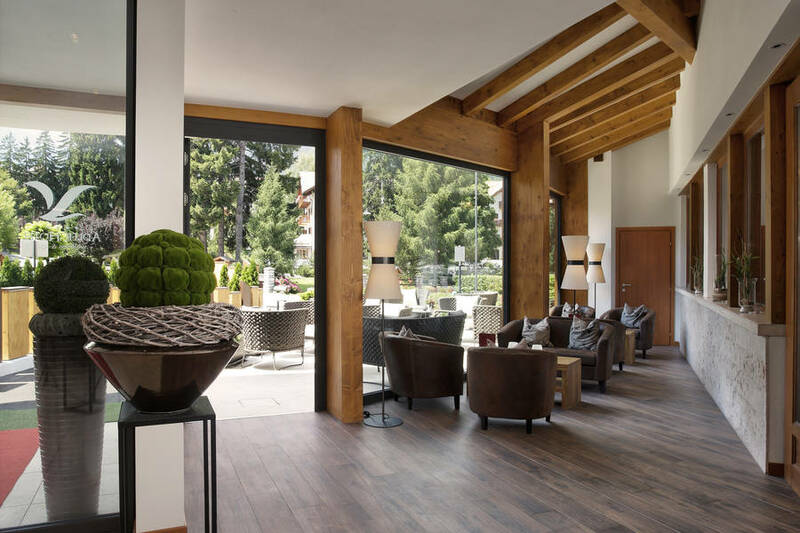 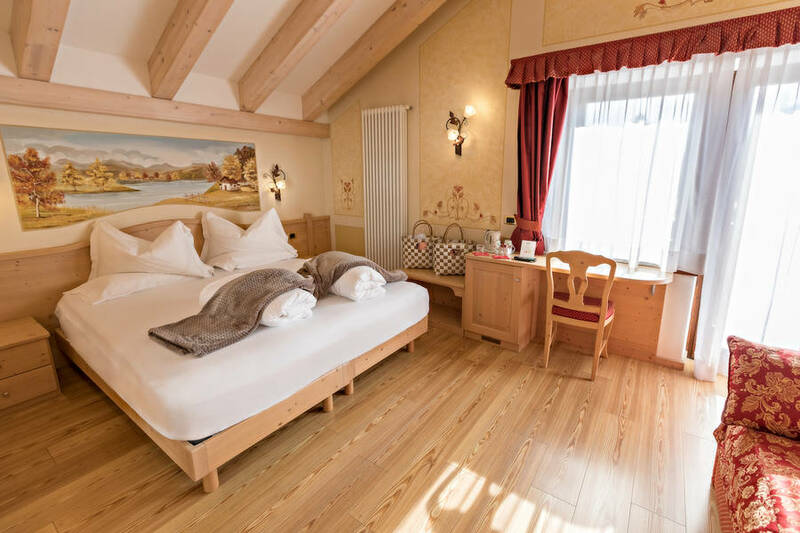 Savor the sweeping view of the towering peaks of the Dolomites from your window as you relax in the friendly, alpine atmosphere of the four-star Adler Hotel Wellness & Spa in Andalo, a pretty mountain village in the region of Trentino. 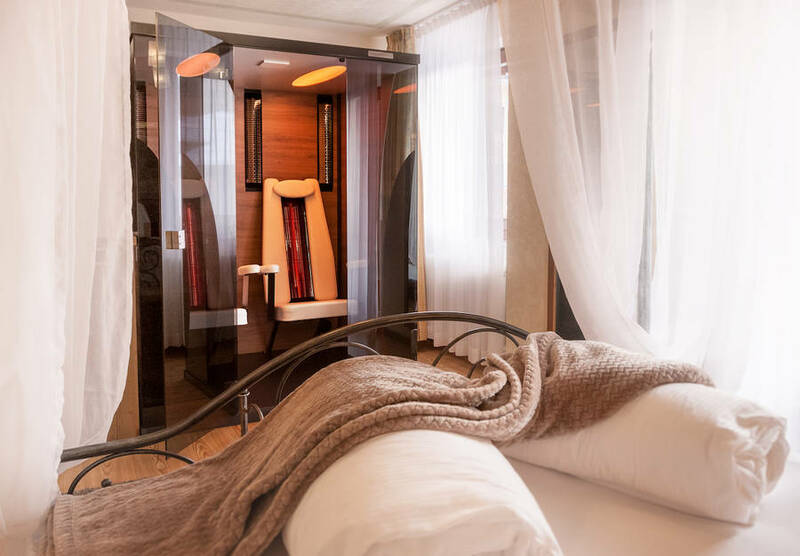 Indulge in Italy's best skiing by day, and unwind in the luxury spa each evening: all the best of northern Italy in one hotel! 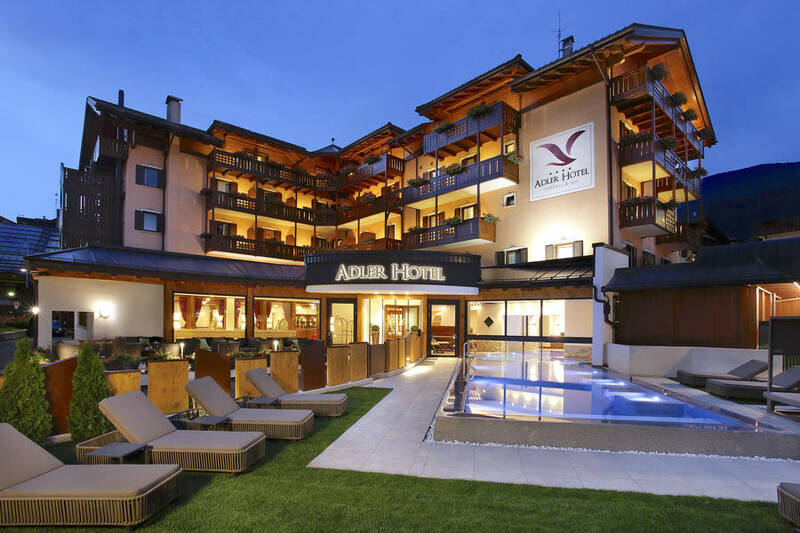 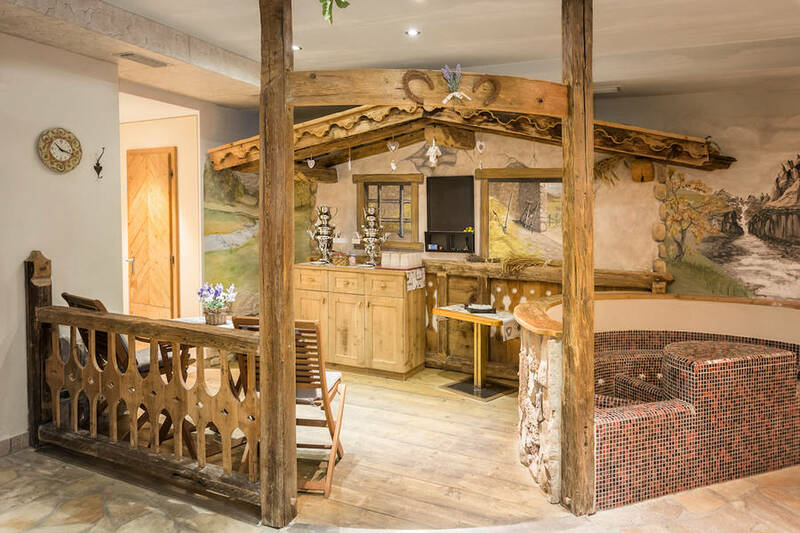 At the Adler Hotel, you can experience the traditional alpine culture both inside and out. 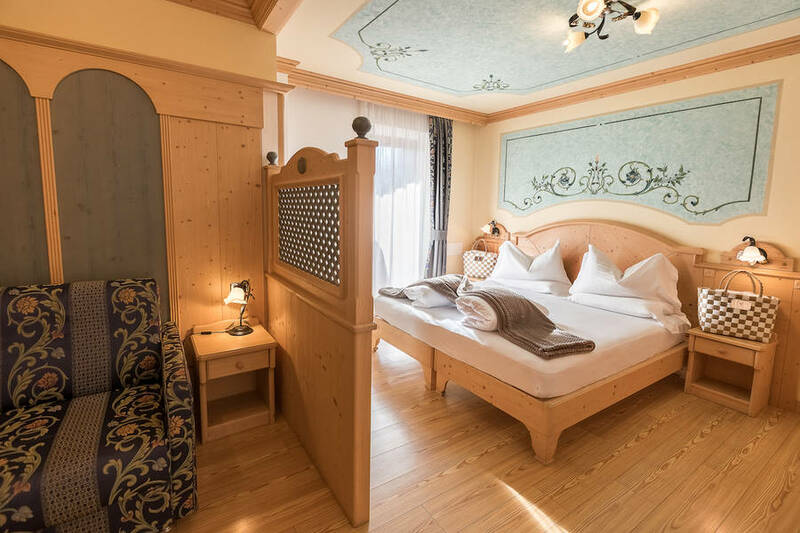 There are 5 room categories to choose from, all furnished in a classic Alpine style with classic, simple elegance: vaulted or frescoed ceilings, parquet floors, and impeccable luxury services. 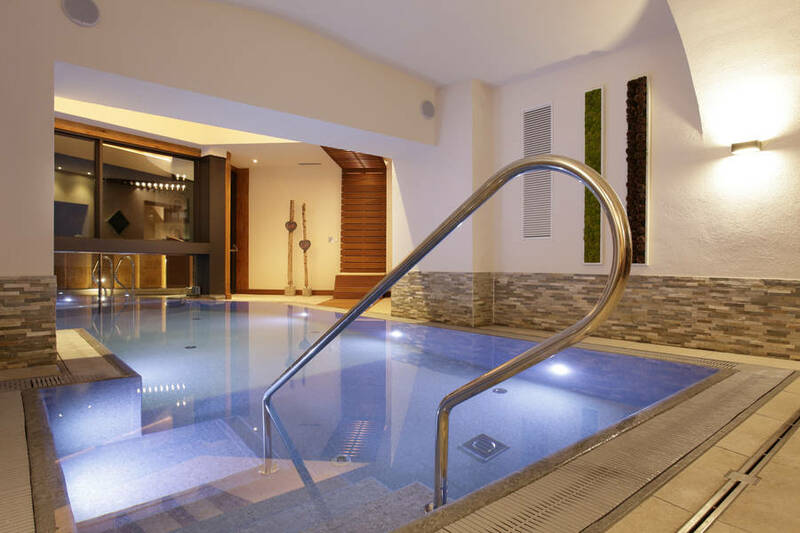 Guests at the Adler Hotel love being able to relax in the exclusive hotel spa completely free of charge. 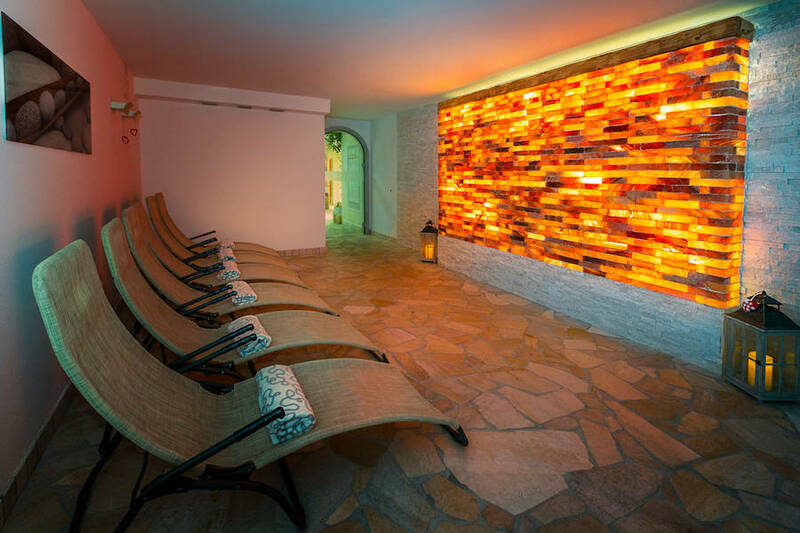 Roman and Turkish baths, light therapy showers, cold water treatments, water therapy relaxation room, sauna, eco-sauna, and fir-wood sauna: your sense of well-being begins here, where you can leave the pressures of the world behind and lose yourself in a relaxing sense of timeless indulgence. 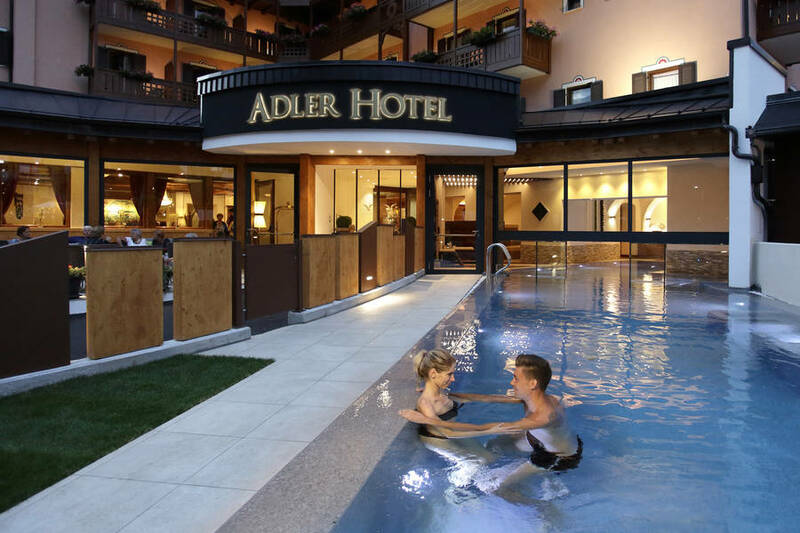 Adler Hotel Wellness & Spa is the perfect vacation spot for the entire family. 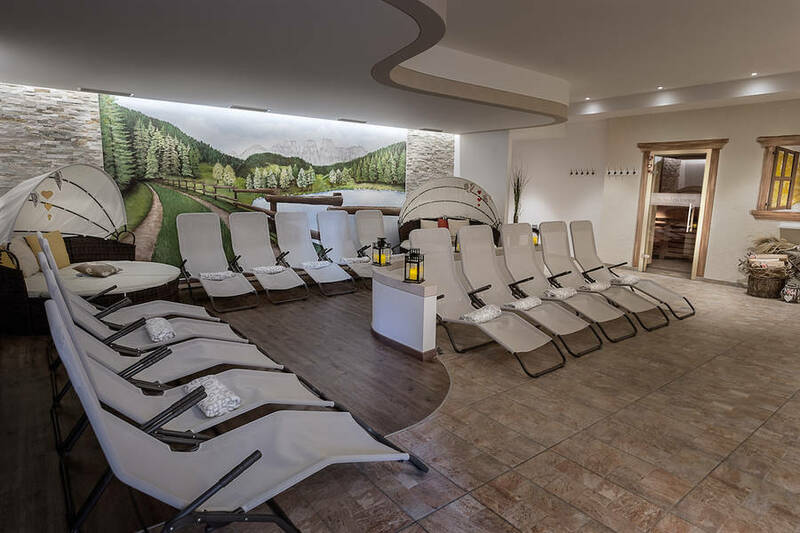 There are a number of indoor activities organized by the mini-club in the play area of the hotel, and outdoor activities during which they can become mini-explorers! 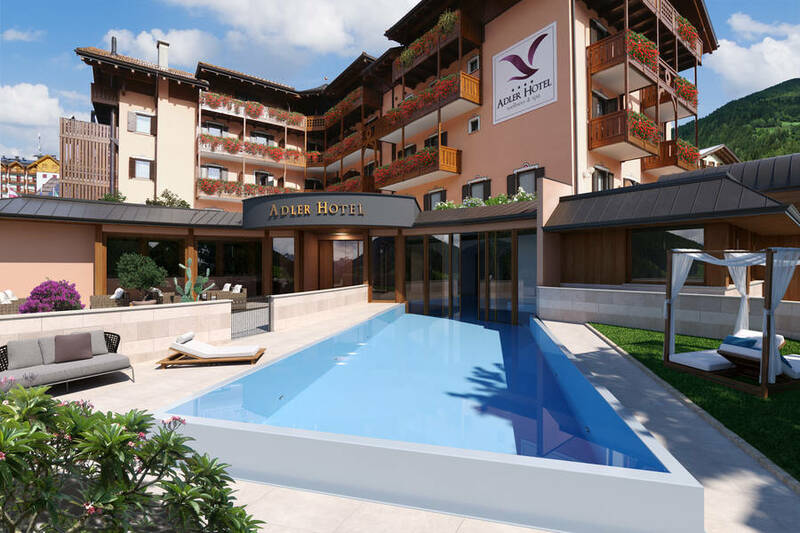 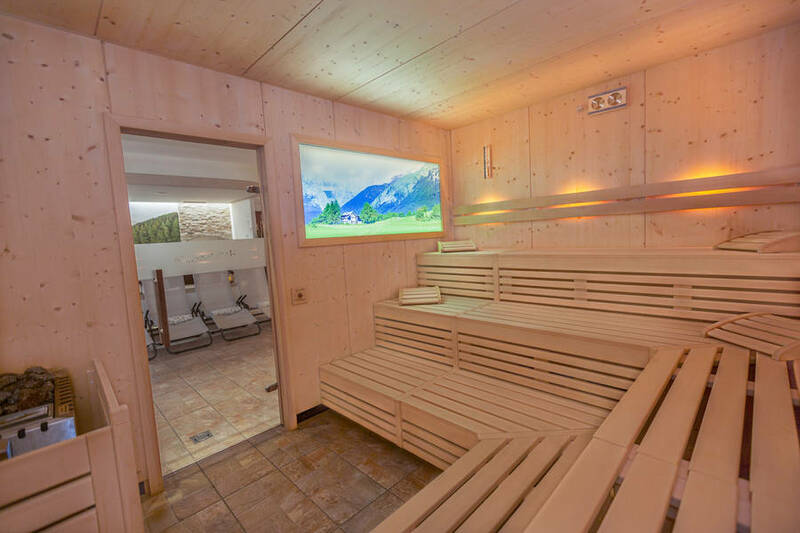 Adler Hotel Wellness & Spa is located in Andalo, an Alpine town near Trento in the heart of the Dolomites, perfectly located for those who love to ski and hike the alpine slopes. 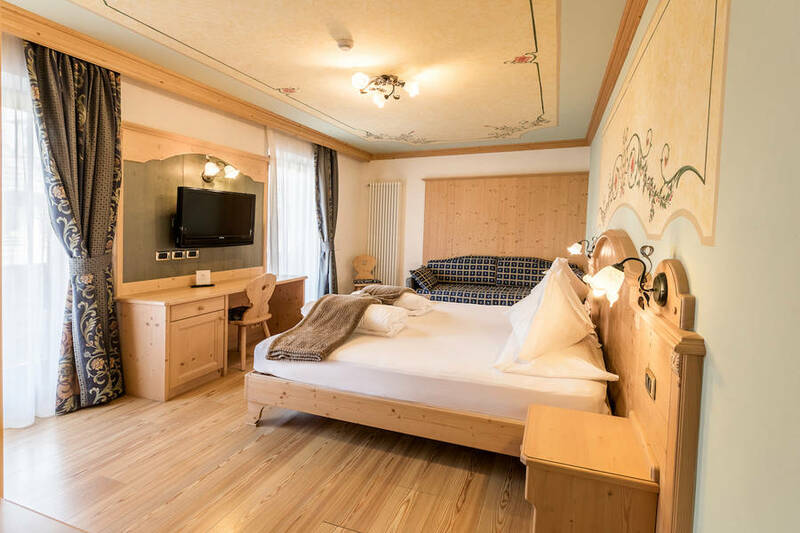 Just 100 meters from the hotel, guests can take the La Paganella ski lift up. 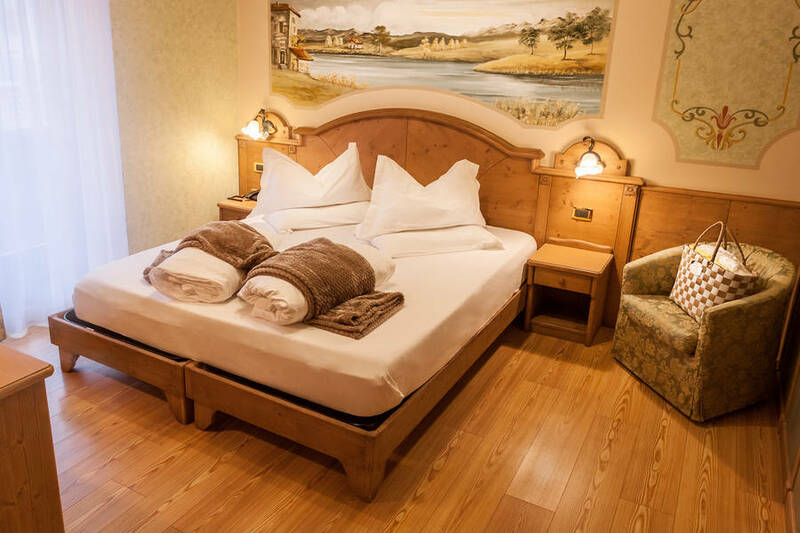 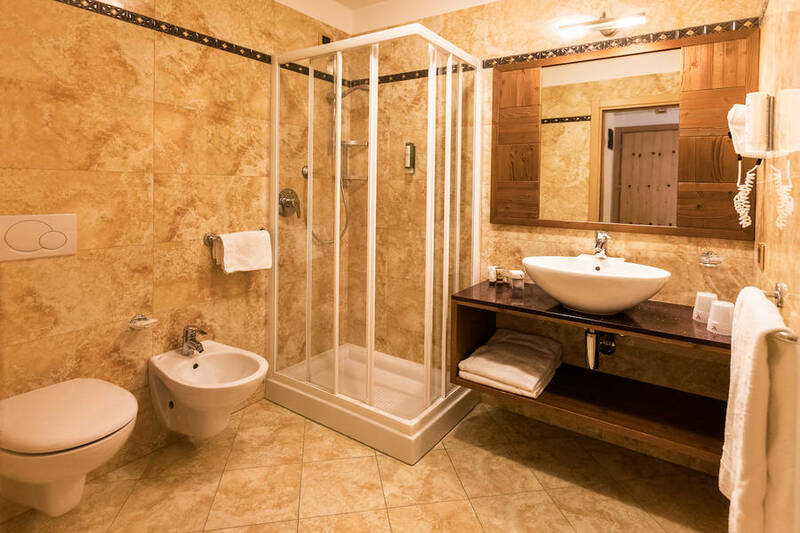 The hotel is 5 km from the Molveno Lake and 40 minutes by car to Trento, the capital city of Trentino Alto Adige.